Shoes that are made for rough sports go through just as much as you do. You need something that is going to be able to keep up with you as you jump, hop, dive, and shift from one foot to another without compromising comfort and stability. That is exactly what the Adidas Performance Women’s Essence 12 Volleyball Shoe is made for. It provides comfort, flexibility, and support with its excellent grip on all indoor surfaces as you move across the court. 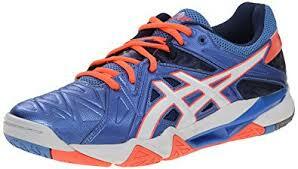 The Essence 12 is a very good volleyball shoe, as it fits quite perfectly while still being comfortable on the feet. 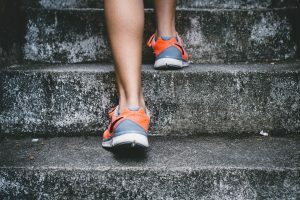 Ideally, it is not recommended to wear your new shoes for the very first time when playing sports, but these won’t give you any problem at all. No blisters! They don’t hurt and are absolutely pleasant to wear with their top-quality cushioning and support. These sports shoes will not hold you back for they are soft and lightweight, with rubber soles for superior grip on any surface for all indoor sports such as tennis, badminton, and table tennis, and not just volleyball. You can even use them for working out in the gym. These combined features allow for quick and confident movements—you don’t have to think about anything else but your game. Thanks to its great traction, no worrying about slipping here! The simple, yet attractive design of these shoes makes them a hit with women of all ages. From kids to elderly ladies, they make you look and feel great. 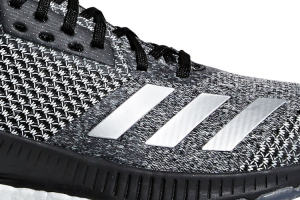 They come in white with gray stripes and gray rubber soles. The Essence 12 are also very easy to clean. A cloth dipped in warm water is all it takes to get them back to their original glory, once they inevitably get dirty. So worrying about appearance is the last thing you would do with this awesome pair. Despite the superb features of the Essence 12 Volleyball Shoes, they don’t cost an arm and a leg; you truly get a lot of bang for your buck. As far as the negative goes, the Essence 12 comes in smaller (and larger) sizes than what you would usually get in your other sports shoes. 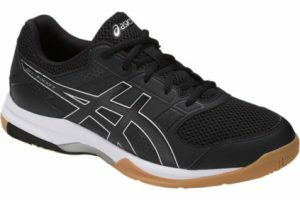 Many users complain about the sizing of these volleyball shoes being a lot different when compared with their badminton shoes and/or tennis shoes. There are even some who still get their size wrong in spite of already going a full size up from their regular size, upon reading reviews prior to ordering. Nonetheless, if you get your proper size, they fit so perfectly well and give you ample arch support. There are reviews here and there about the design. Some users do not like the white/grey/grey color at all, while some wish these Adidas volleyball shoes came in other different colors. One reviewer also complains about the gray stripes looking gold in person, so the product photo isn’t quite true to life. Another pair of volleyball shoes from Adidas with excellent performance is the Women’s Court Stabil 12. They provide the same support and flexibility that the Essence 12 W Volleyball Shoes do, but people seem to be having an even harder time finding the right size in these. The Essence 12 is also more lightweight, as these are a bit bulkier. One more point deducted from these since they do not have as much cushioning as the Essence 12. 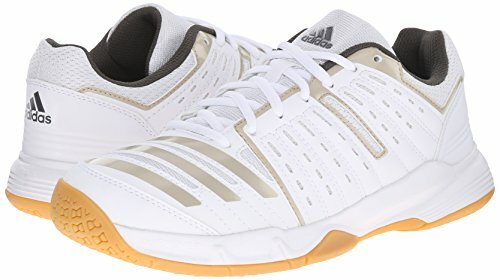 Compared with the Court Stabil 12, the Adidas Performance Essence 12 Volleyball Shoes offer much more value for your money. The Adidas Performance Women’s Volley Team 3 W Shoes offer great support as well. Comparable to the Essence 12, they have excellent cushioning and a snug heel that will make you feel secure while being active. The grip of the rubber soles is exceptional. Customers also have the same problem with sizing, just like with the Essence 12. The Volley Team 3 W shoes, according to one user, look like men’s shoes, so keep this in mind as it might be bothersome to buyers. 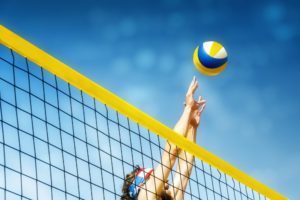 Comparing the two, which pair of shoes is better would depend on your budget, as these are a little more expensive than the Essence 12 Volleyball Shoes, which would be the more practical choice.